We've been following this one for some time (see our first news story on the project here), so we're really excited that the film has almost finished production (there's still some sound mixing to take care of) and the UK premiere has been announced for October 29th in the glamorous location of Letchworth Garden City. So if you're in the area on that date, we urge you to pop down and see Kevin Gates and Michael Bartlett's cool film. Just remember, you heard it about it all here first. For ticket information, call the box office on 01462 681088 or visit www.broadway-cinema.com to book online. 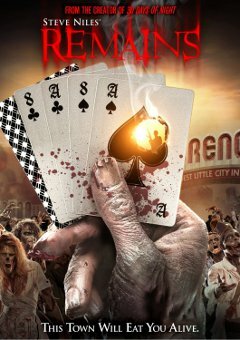 Check out the poster, synopsis and screening details below or visit the official website at www.zombiediaries.com. In the early part of the twenty-first century, a virus, "Omega strand", a variant of Avian Flu, began spreading across the planet. The virus, with an almost 100% mortality rate, had the unusual effect of reanimating the bodies of its victims. Within weeks, the world was infested with the undead. So begins our journey into the bleak and dystopian world of The Zombie Diaries. The film charts the stories of three groups caught up in the devastation, who use video cameras to document their survival for posterity. The film arrives at a unique time from both a cultural and an entertainment perspective. 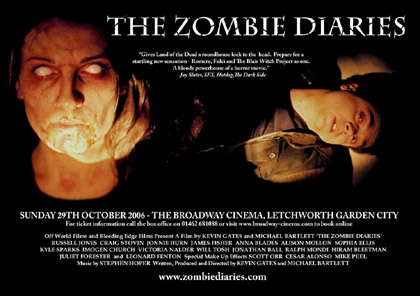 Described by Jay Slater (Hotdog, SFX, The Dark Side) as "Romero, Fulci and The Blair Witch Project as one – a bloody powerhouse of a horror movie", The Zombie Diaries takes contemporary metaphors of Bird Flu and Reality TV, and fuses them with the immediacy of Digital Filmmaking to create an unsettling and disturbingly realistic portrait of humanity on the brink of extinction. 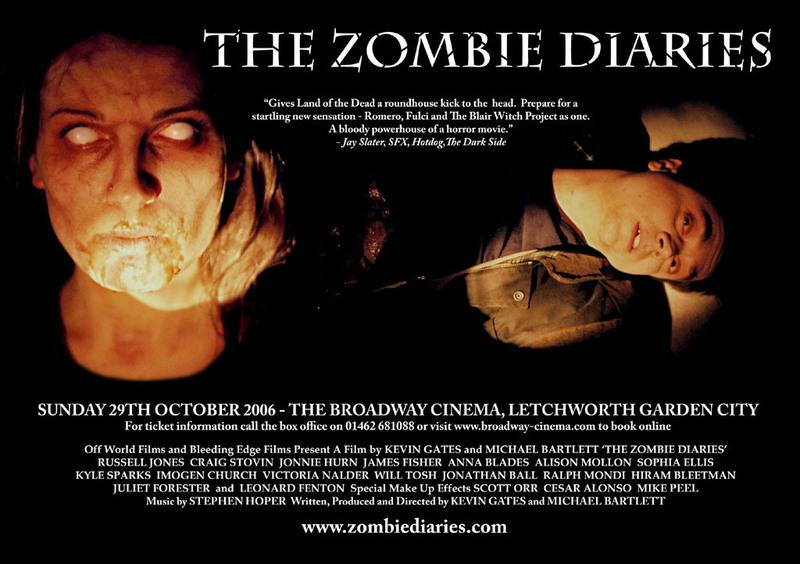 Legendary filmmaker George Romero has also announced he is going into production of his movie Diary of the Dead, which bears an uncanny resemblance to The Zombie Diaries. 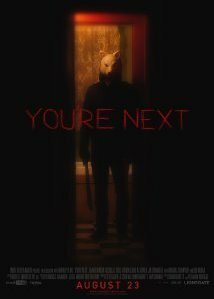 This British horror film, however, has been in production for almost 2 years. 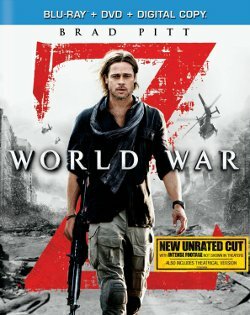 With other zombie movies such as Plan B’s World War Z, and the sequel to 28 Days Later both in production, the film looks set to be a commercial success with the demand for the genre at an all-time high. Kevin Gates and Michael Bartlett are both locals to Letchworth Garden City, where they shot most of the film. Kevin previously directed the horror feature, The Unseen (2004) and has worked on television documentaries and produced supplements for DVD releases. Michael runs the internet’s longest-running filmmaking blog makingthefilm.com, and previously directed the surreal short film, Mnemosyne (2004).